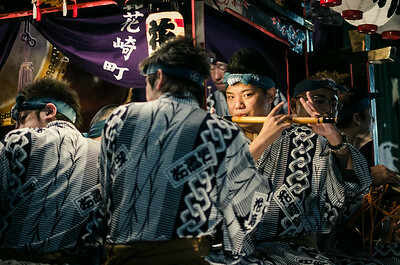 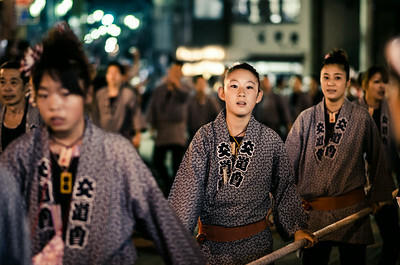 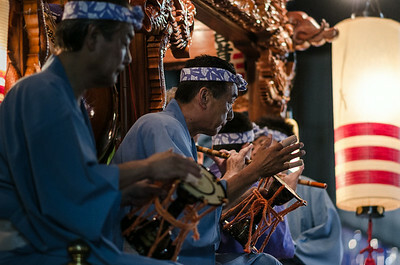 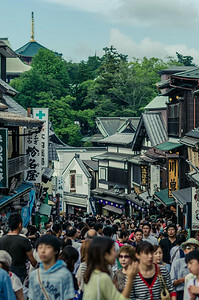 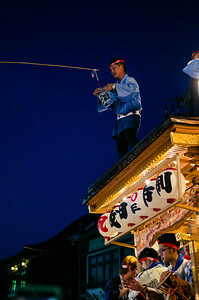 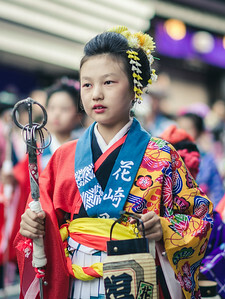 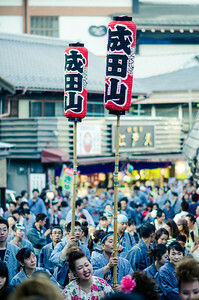 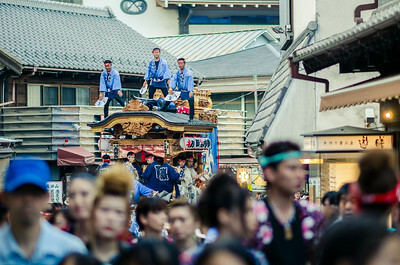 With so many floats passing the narrow Narita street, there is a lot of waiting involved. 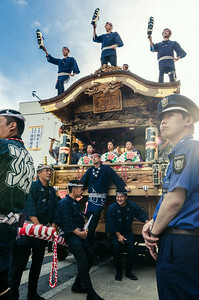 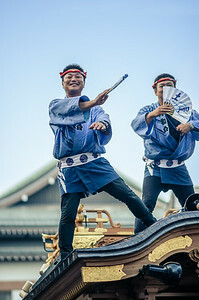 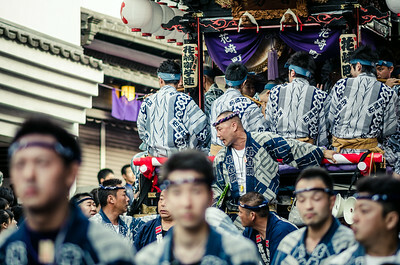 The men atop this float were greeting an oncoming float as it prepare to pass. 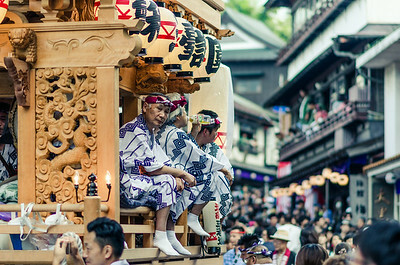 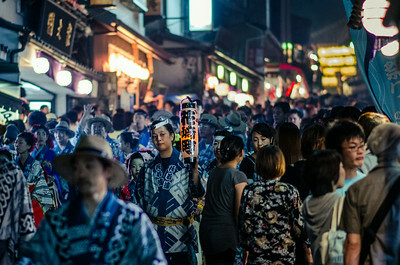 A man working one of the floats takes a donation being held out by an onlooker in one of the many shops along the street.